This week we drove the Arco Norte, the new Mexico City bypass route that loosely follows the state of Mexico's border from Mex 57D to Mex 150D around the northeast side of the city. Once we reached Mex 150D we traveled east to Puebla, then followed a series of good highways around the southeast side of Mexico City to Cuernavaca. This route is described in our book Traveler's Guide to Mexican Camping, 4th Edition. Southbound on Mex 57D the turn-off for the Arco Norte is at about Km 90. 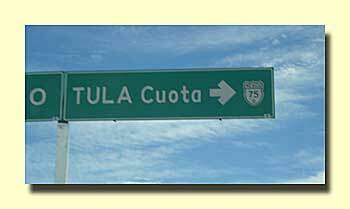 The big sign is for Tula Cuota and Mex 75D. 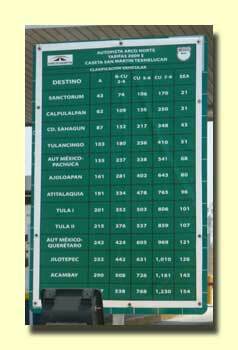 A much smaller sign says Puebla and Mex 80D which is designator for the the Arco Norte. The toll booth is visible on your right as you make the turn. 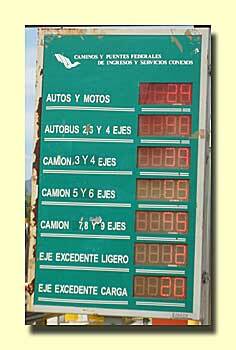 You'll pass through the toll booth and pick up a card from a machine that shows where you entered the cuota. 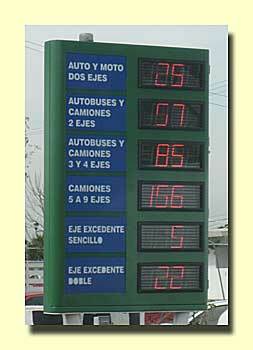 We took this picture of rates (the board was on the east end of the Arco Norte) when we visited in May 2009. Now the rate boards have all disappeared. Rates have gone up slightly from what is shown on the board. 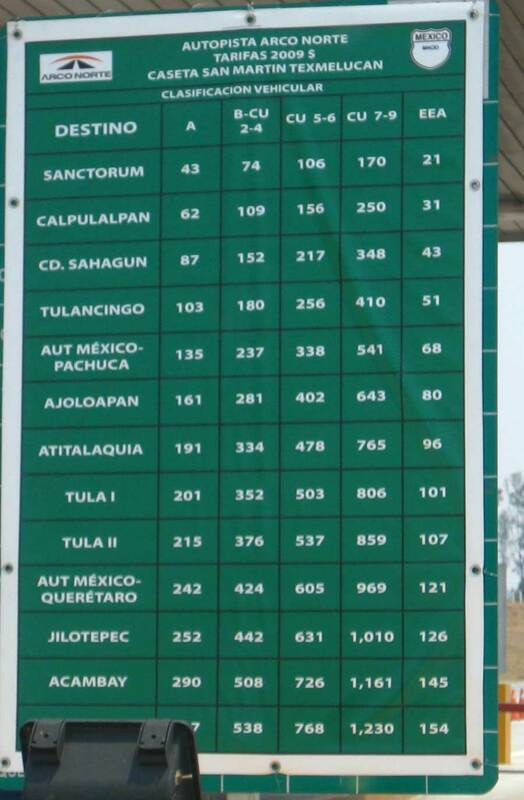 The board shows that a car towing a car (we have a pickup without duals and a Jeep in tow) should pay 484 pesos to travel from Aut. México-Querétaro to San Martin Texmelucan. We paid 505 pesos in February 2010. Click on the picture for a larger view of the old rates. 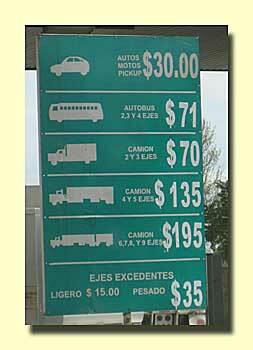 Total distance from Mex 57D to Mex 150 D is 107 miles (173 km). 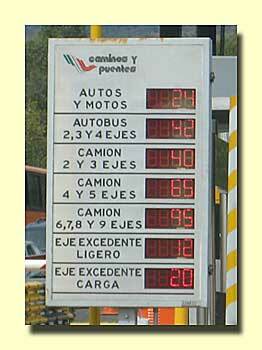 Once you are on Mex 150D heading toward Puebla there is one more toll booth before you reach Puebla, a distance of 14 miles (22 km). 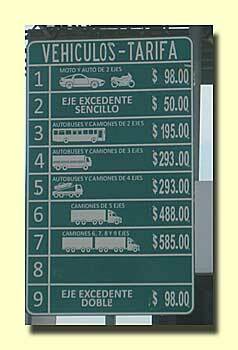 We overnighted at the campground in Puebla (see Traveler's Guide to Mexican Camping, Fourth Edition) and then continued on around Mexico City on a series of smaller toll and free roads. 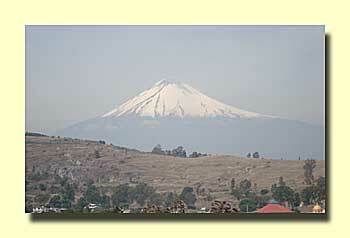 From Puebla follow the Atlixco Cuota, the toll for this portion of the dirve is shown above. Just before reaching Atlixco you'll reach the entrance for Mex 436D which will take you around Atlixco and south to an intersection with Mex 160D. The toll for Mex 436D is shown above. Mex 160 will take you west to Cuatla. Just before reaching the city take the bypass north around Cuatla. It connects with the final toll route, Mex 115D. Mex 115D is a two-lane highway that climbs steeply past Tepoztlán to connect to Mex 95D just north of Cuernavaca. Trucks slow traffic and frustrated drivers try to pass although there are no good places to do this. As a result this is a very dangerous road. Watch out! 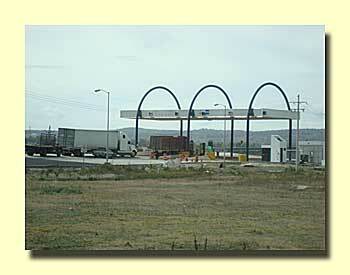 There are two toll booths along this road. They both charge the same rates. There's a picture of the first above, and the second below.